Aging takes a toll on your face’s appearance, causing lines, wrinkles, and skin laxity. Injectable dermal fillers and wrinkle reducers provided by advanced certified aesthetic injector Jill Girany, APRN, of AgeLess Medical in Cheyenne, Wyoming, combat these effects of time to rejuvenate your appearance. Call the office or book an appointment online today to learn how injectables can enhance your appearance. What aesthetic injectables are available? At AgeLess Medical, Jill Girany offers a range of Allergan injectables, including Botox®, to address fine lines and wrinkles, and Juvederm® to replace lost volume. She does a thorough analysis of your face and discusses your aesthetic goals to determine which injectables are best for you. She devises a unique, customized treatment plan that provides natural, beautiful results. Botox is a purified toxin that temporarily relaxes the muscles in your face that lead to lines and wrinkles. It’s especially effective on frown lines between the eyebrows known as glabellar lines, horizontal lines on the forehead, and for crows-feet around the eyes. The effects of Botox are visible within three to seven days and last three to four months. 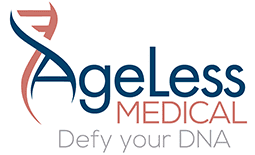 To maintain your results, set up a regular treatment schedule at AgeLess Medical. Juvederm fillers are made of hyaluronic acid, a natural compound produced by your body to boost skin health. As you age, your production of hyaluronic acid diminishes, so dermal fillers help restore its effects. The effects of Juvederm and its associated products — such as Voluma®, which is used to plump thinning lips — are visible immediately and last as long as 18 months. To maintain your results, you must get repeat treatments at AgeLess Medical as scheduled by Jill Girany. Do injectable aesthetic treatments hurt? Injectable dermal fillers and Botox do involve a needle, so you feel slight discomfort during a session. The needles are exceptionally fine, however, and the treatments are quick, so it feels much like a fast pinch. If you’re concerned about the discomfort, discuss options for icing or using a numbing cream with Jill Girany prior to treatment. To learn more about how injectable fillers and wrinkle reducers can help you look younger and rejuvenated, call AgeLess Medical or book an appointment online today.